Does my Furnace Really Need Cleaning? Some consumers feel Furnace Maintenance is merely a cash grab by the local HVAC Contractor. In some circumstances, it may be. Truthfully, all Heating and Cooling Equipment should be maintained by a Licensed HVAC Professional; who is trusted to give the homeowner honest advice about their system. To avoid the 'cash grab' simply avoid companies advertising cheap "check-ups" or "safety checks" as this is likely just a visual inspection by a contractor hoping to upsell a part or service. However, true Preventative Maintenance has been proven to extend the life of the equipment, help prevent winter failures, and supply cleaner airflow throughout the home. Proper Preventative Maintenance should take at least an hour to perform, to include a reliable safety inspection. A high limit test is mandatory to ensure the safety of your equipment. This high limit switch ensures any internal failure will be controlled (similar to popping a breaker or blowing a fuse). Furnace Cleaning should include the blower, combustion testing, burners, electrical connections, amp draws, heat exchanger and gas pressure test. As well, the technician will check and clean the condensate lines (often an issue with build up), clean the fan blades and cabinet. The reality is, there are true dangers in not servicing your equipment. A hairline crack in the heat exchanger will emit Carbon Monoxide. Small amounts can silently effect pets and infants while a wider crack can cause harm to even healthy adults. CO detectors should be installed on every floor in the home. 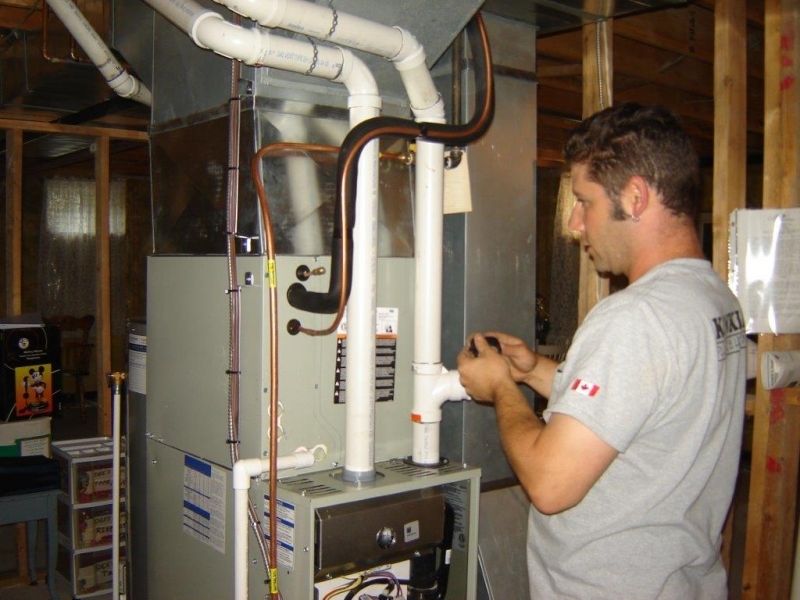 The best time to have your furnace serviced is between August and October, prior to startup and before the busy HVAC season. If you have central air conditioning, it is likely more cost effective to have both the AC and the Furnace serviced at the same time. May - July is best for this service as the outdoor temperature should be at least 15 degrees for ideal pressure testing. If you have any questions about your HVAC (Heating, Ventilation, Air Conditioning) equipment, you can trust the advice of Konkle Plumbing & Heating in Niagara. Servicing customers for over 36 years with honest advice and premium quality workmanship. www.konkleplumbing.com 905-563-4847.